Affordable website SEO Northern Beaches Sydney. Rank top of Google. Sydney SEO expert with 20+ years experience. SEO consultancy services. 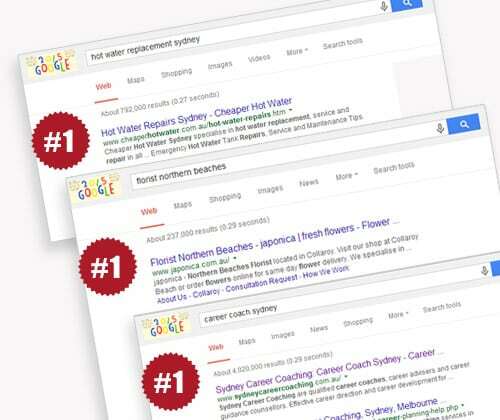 Search Engine Optimisation Northern Beaches. Sydney SEO expert and boutique digital marketing agency. Not sure why your website isn’t ranking top of Google? The answer is usually because it hasn’t been optimised for search engine ranking. Is your website limping along on page 10 of Google and nobody can find it? Do you wonder why your competitor’s websites are ahead of yours in the search engine results? Are you concerned that less experienced businesses are getting more customer enquiries because they rank higher than you on Google? I can ensure your website achieves a better Google search result immediately! I will boost the ranking of your existing website quickly. I can also suggest hidden markets you may never have considered where available to you thereby bringing in more enquiries or customer orders. Search engine optimisation (SEO) is a constantly evolving process that is based on complex mathematical algorithms and technical know-how. 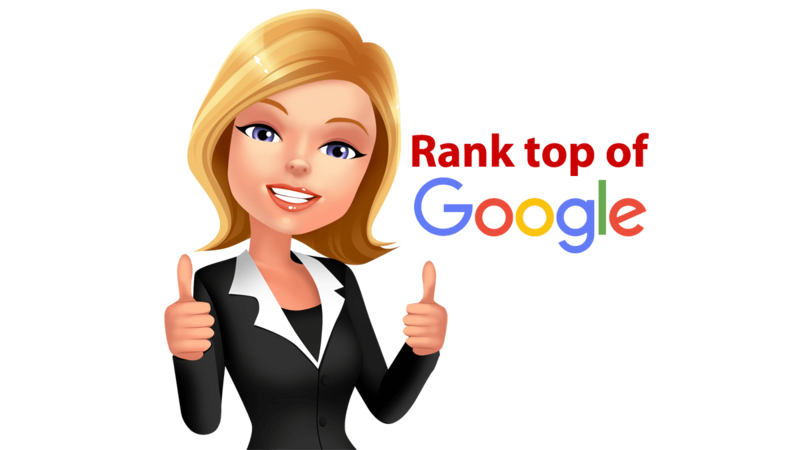 Without the help and expertise of an SEO expert managing your search engine optimisation and digital marketing correctly, achieving a top Google ranking may be impossible. In simple terms, search engine optimisation (or organic SEO as it is often abbreviated to) is the process of increasing the quality and quantity of visits (traffic) to a website due to its placement (rank) on search engine such as Google, Bing, Yahoo, etc, for specific keywords. My role, as an SEO expert, it is to ensure my client’s websites are optimised correctly so they appear in the search engine rankings for keywords relevant to the client’s business, products and services. I want my client’s websites to be seen by their potential customers for as many relevant keywords as possible. Organic SEO shouldn’t be confused with Adwords or the pay-per-click advertising that often appear in the Google search results (SERPs). With organic SEO (which is what I specialise in) you are not paying money to the search engines to be ranked in the search results. It is an ‘earned’ result due to effective search engine optimisation. That’s why the organic listings on Google are considered more authoritative, as opposed to the ad listings who have paid Google for the privilege. SEO is earned and often results in more relevant information. As an example, when searching for a “local plumber”, have you ever clicked on one of the ads at the top of the Google search results only to find the plumber is not local? That’s because they have paid Google Adwords to appear in the search results for a range of keywords, including perhaps your local suburb. Then when you scroll down the results to the organic listings, you find the local plumbers located in your region. It’s important to note that SEO isn’t easy. The search engines like Google and Co. are constantly changing the rules and it’s very important that I stay abreast of these changes and ensure my client’s websites adhere to these rules. Equally as important is that I understand the client’s business, what they want to achieve online and also, their customers behaviours. Search engine optimisation is certainly not easy or for the faint hearted! ** No lock-in contracts. No ongoing fees. Just flexible SEO services tailored to your individual requirements and budget. There is no silver bullet to getting found online in the modern marketplace. It is a never-ending process that requires the ongoing commitment of content creation, a continuing evolution of keywords and many other factors that culminate to evidence traffic and engagement on your website in order to gain the attention of the search engines such as Google and co.
Business consultation and website assessment. Website upgrades if required to adhere to Google’s algorithm requirements. Extensive keyword using a range of tools. Ongoing search engine rank tracking. Writing new content optimised specifically for keyword targeting. Google Analytics setup and integration. Google My Business setup and local citations. Email and digital marketing services. Contact Rebecca Mitchell direct to discuss your specific requirements and we can ascertain the most cost-effective, results-driven option for you and your business. Rebecca was fantastic to work designing our flooring website. She created a very contemporary design that was easy to use, stylish and completely in line with our companies image. Within 2 days we were listed number 3 on a search of Google! Rebecca knows what works, what will drive people to the website and best of all she gave us the tools in managing our website and was always enthusiastic in her approach. We will be using Rebecca’s wonderful services again. – Amber Johnson, Woodland Flooring. Learn how to manage the SEO of your website and digital marketing (including social media) with confidence and success. If you want to start managing the SEO and online marketing of your business in-house, or you’re already doing so but not getting the results you anticipated, my digital marketing workshops and social media courses are the perfect solution to get you on the road to success. If your business relies on a top search engine ranking then attending one of my workshops or organising a tailored digital marketing consultancy session could be the best marketing decision you make this year. Gain the confidence and skills required to confidently manage your online marketing campaigns in-house. My consultancy sessions and training courses provide you with step by step guidelines to equip you with everything you need to know to ensure you secure and maintain a top organic ranking on Google. You will gain the skills to manage your online marketing with confidence. I have been working with Rebecca since 2013. The immediate improvement she made to my website and the increase in traffic was fantastic. She’s enabled my brand to reach a far wider audience and has worked closely with me in maintaining the strategies needed to keep the web presence and SEO standings high. Her ongoing research into the latest marketing technologies has directly benefited my business. – Darryl Lovegrove, Lovegrove Entertainment.